Software giant Microsoft has demonstrated a tool that 'works like a human brain' to instantly translate spoken language. The firm demonstrated the software that translated spoken English into spoken Chinese almost instantly. The software preserves intonation and cadence so the translated speech still sounds like the original speaker. According to the BBC, Microsoft said research breakthroughs had reduced the number of errors made by the instant translation system. The firm said it modelled the system on the way brains work to improve its accuracy, the report added. 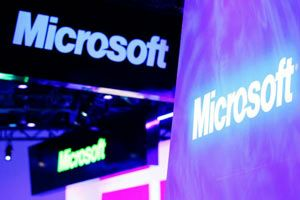 The software was demonstrated in a presentation last October, when Microsoft's chief research officer Rick Rashid spoke in English and it was almost instantly turned into Chinese by the program. Rashid gave more details of the project in a blogpost after saying that the demonstration had generated "a bit of attention". According to the report, in 2010, Rashid wrote that Microsoft researchers working with scientists at the University of Toronto improved translation further using deep neural networks that learn to recognise sound in much the same way as brains do. Applying this technology to speech translation cut error rates to about 15 percent, said Rashid, calling the improvement a "dramatic change".